Welcome to week 328 (05/18/ 2017) of Travel Photo Thursday. Indy and I leave Seoul for Canada at 3 pm. on August 8th. This week I want to share with you the adventure of getting Indy the Introvert ready to travel. This is one of my favorite shots. I call this the Queen Indy pose  BTW; she will be 13 years old in June. How time flies! We’ve been to the vet, and she’s had her two required shots. 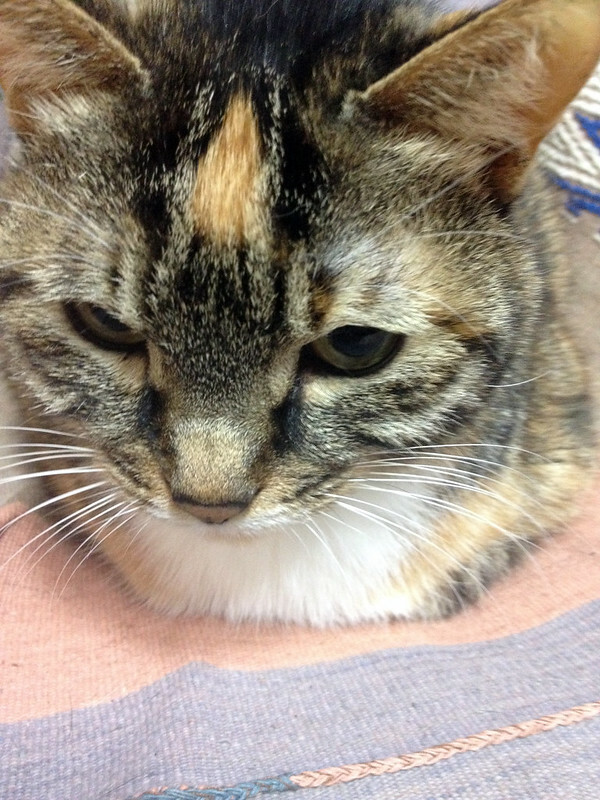 We have her kitty cat passport and a week or two before we go I will get another paper from the vet. Bringing animals into Canada is refreshingly easy. She owns the bed and travel is not her favorite adventure. Lucky for us, Air Canada allows cats in the cabin. I called customer service and was through in moments (something strange about that). I had to book my ticket online, since I had a discount coupon, and was told to call back to add Indy to the ticket once it was booked and paid. On my return phone call, Willy answered. I tell him that I want to add my cat to the ticket. I’m asked how much she weighs. I guessed about 8 kilos. Without missing a beat, Willy says “I don’t do kilos.” Excuse me, I say. I’m calling Canada, yes we do kilos. I’m in the States he says. Lo and behold Air Canada has a call center in Florida (45 must be happy). We got the weight taken care of IN POUNDS. The fare for Indy was $50.00 for each flight segment (Seoul – Vancouver, and Vancouver – Halifax). What surprised me was that while Willy couldn’t do kilos, he could charge me in Canadian dollars. Considering the state of the Canadian dollar to the greenback that was a pleasant surprise. We’re almost there. The next thing was to find an Air Canada approved carrier and it is SturdiBag to the rescue. A friend flew with this bag on an Air Canada flight to Toronto without any issues, so I was sold. 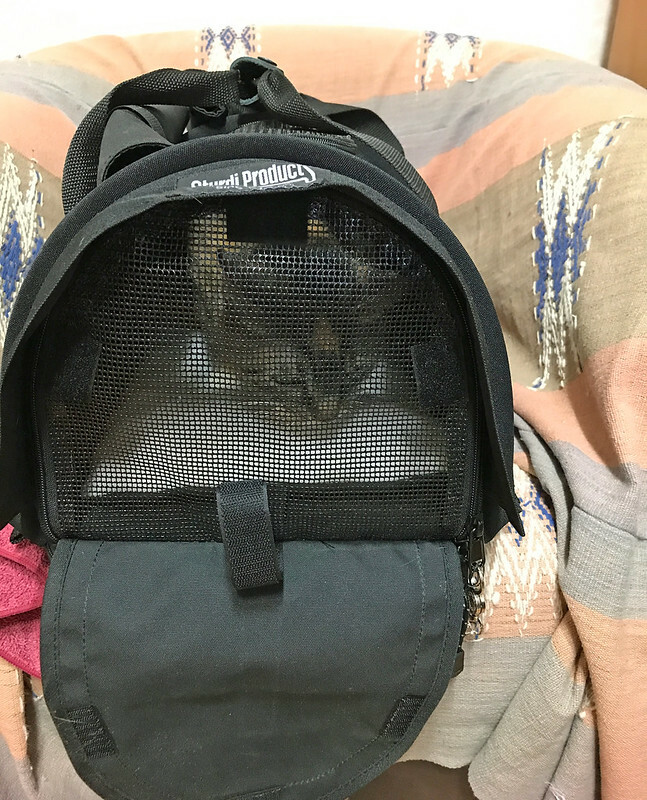 Indy has only had one carrier, so I am a bit worried about her getting used to something new. Her first encounter with the bag was, to put it mildly, a disaster. She was so mad she tried to rip up the floor of the bag and then proceeded to bite her paws in between mournful meows. Needless to say, I didn’t leave her in the bag too long. Tonight was our second attempt, and it went much better. She still looks mournful, but she isn’t tearing the inside apart this time. Tonight we made it to the twenty-minute mark without too much stress. Although, as soon as I opened the case she was off like a flash to one of her favorite hideouts  Hopefully, each day will be easier and we’ll be ready to fly on August 8th to Vancouver and then on August 22 to Nova Scotia. Here she is in one of her more chilled out moments. 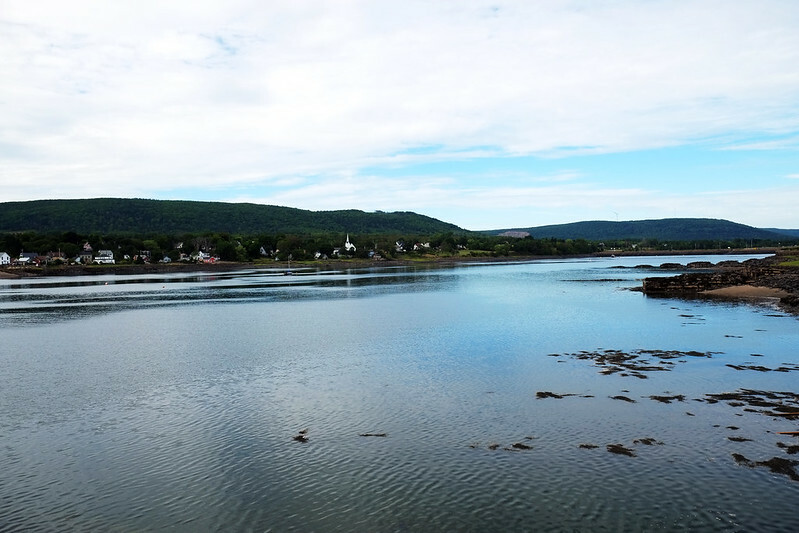 Here’s our final destination; Annapolis Royal, Nova Scotia. We’ll be living within a two-minute walk of the tranquil Annapolis River. Have you ever flown with a cat in the cabin or cargo? Tell us all about it in the comments. Never traveled with a pet. Brave you!! Thanks! I’m a little nervous. She is just precious! (I’m a cat lover!) I’ve never traveled with a pet before so I don’t have any tips. Good luck! Hi, Jill! She is a sweetie. Hopefully, everything will go okay. How long before you leave Nancie and will Indie in her bag alternate between your lap or the floor. You can’t take animals in the cabin in Australia so I’ve never experienced it. 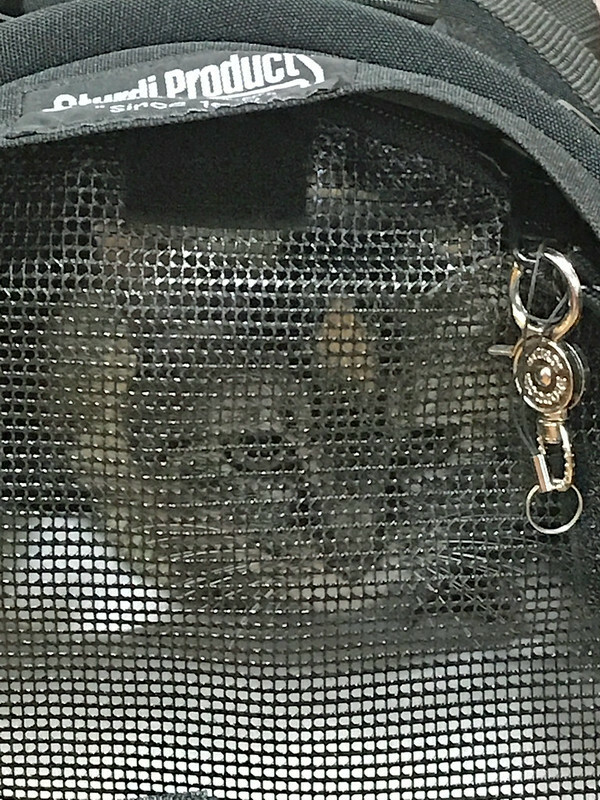 As far as I know, she has to stay in the carrier under the seat. I’m not sure how flexible they are with that rule. We leave on August 8th at 3 pm. First, stop Vancouver to stay with a friend for a couple of weeks and then onto Nova Scotia on August 22nd. Sweet kitty! I’m sure she’ll be ok. It’s so nice that they let you take her in the cabin with you. Makes it so much less stressful for you and her. When we moved from Texas to Italy, we had to check our dog in her crate together with the luggage. I was scared the whole trip and sooooo relieved when she arrived just fine. Hi, Sabrina. She is a beauty. It’s nice to hear that your pooch made it okay. I can imagine how relieved you were to see him! 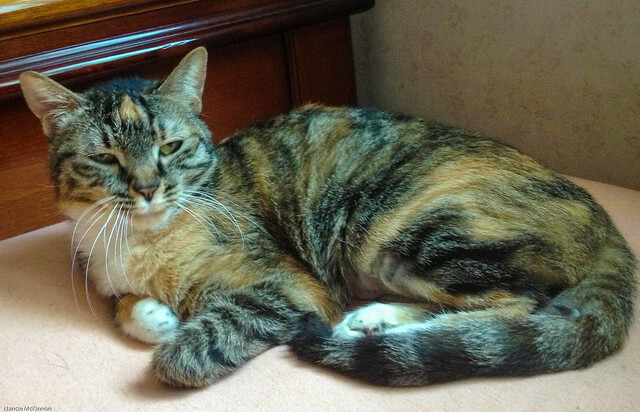 Love your cat Nancie and can only imagine how stressful the preparations for your trip are for both of you. How great that she’ll be with you the whole time! That’s great that you can take Indy in the cabin with you. Will you be able to let her out at layovers. Or are you afraid that she’ll dash off? My friend just got a dog with the plan that he’ll be able to fit under an airplane seat when full size. Best of luck with getting Indy accustomed to the carrier. We had a cat much like that. He HATED being in the car. And he hated being in a carrier. Hopefully, it all goes well. Perhaps you can get her a tranquilizer that will relax her? ?